I’ve read a few of Sophie Hannah’s novels in the past and have really enjoyed them. I remember racing through the pages, the eagerness to discover the resolution, the suspense, the fear. 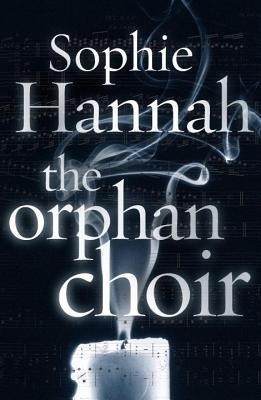 Hannah is known for her psychological thrillers and having enjoyed the ones I read a few years ago, when I saw The Orphan Choir on the ‘New In’ shelf of my local library, I thought I’d give it a try. Louise Beeston is grieving for her seven year old son Joseph who boards at the local boarding school to sing in their renowned choir. While he thrives at the school and living away from home, Louise desperately misses him. What’s more, her ‘neighbour from hell’ plays loud music at the weekends, keeping her awake and leaving her to function on little sleep. After confronting him, the music is played louder and more often, but soon the music changes. Now Louise hears choirboys and hymns her son would sing at school as she tries to sleep at night. When the opportunity comes to move to the country, she jumps at the chance for peace and quiet. But the music follows her, and it becomes clear that she’s the only one who can hear the ghostly choral music. I found it difficult to engage with the narrator, Louise. She didn’t feel real or ‘fully rounded’ – the only emotions she exhibits are that of fear, anxiety, and paranoia. This has its advantages in the novel as it creates doubt in the reader’s mind as to whether she’s a reliable narrator – whether what she’s saying is the truth or a product of her paranoia and fears. Yet it frustrated me when reading and detracted from the emotion that I could have potentially felt when reading the novel. The characterisation of her husband also felt to be lacking – he seemed to be merely a sounding board for her ideas, someone to fight with while she insisted she was right and wasn’t imagining it, someone to fight against as she tried to reclaim her son from the arms of his school. That being said, I read the novel quickly, eager to find the answers to my questions. Yet, there’s a lot of exposition throughout the novel which slowed the pace. The exposition was needed to form a basis to the story – her rows with her neighbour and her husband not only served to show us her character, but also planted the seeds of doubt in our minds as to her statements. But there was too much build-up for such an anti-climactic ending. The last fifty pages or so of the novel were compelling and engaging, but not enough to warrant the lengthy exposition leading up to it. The Orphan Choir is a ghost story, and the ghosts don’t appear until the end of the novel. This worked well – I read the novel quickly to find out when the ghosts would appear – but their eventual appearance wasn’t frightening enough to create a satisfying ending. Their appearance was eerie, but I wonder whether if the story had been shorter and tighter, there would have been more of an atmosphere around their appearance and subsequently more fear in the reader. The revelations at the end of the book didn’t exactly feel rushed and it’s important that they were in the final pages, but I felt something was lost and unfortunately they didn’t have the impact they could have had. Despite my disappointment in this novel, I’ll still read Hannah’s psychological thrillers in the future, which is where I think her strengths lay. Have you read any of Sophie Hannah’s other novels? Did you like The Orphan Choir?